Trends may seem to come and go in a flash, but in reality they build up slowly and hang around for a while. Over the last few years there have been distinctive trends and innovations on the subject of household and business storage, and many of these promise to continue and expand through 2015. Moving house has always been a time of high stress and some confusion, which only gets worse as you get deeper into the process. Moving day can often end up being the most stressful of all, which what should be an exciting time turning into a logistical nightmare. Organisation is key, and starting early is vital. Contact removal companies as soon as possible to work out the details of what they’ll provide and what you need to do. Gather packing materials and start filling boxes early. If the house fills up with boxes, consider a self storage unit in the short term. You can rent from any period from just a week and start small with a large locker, upgrading the space if your needs grow. The idea is to streamline your move, fitting packing and moving into your available time rather than cramming everything into the days just before. Self-employment is becoming more common in the UK, with many businesses starting (and continuing) from home. Storage, however, quickly becomes an issue for both stock and paperwork. Storage methods tipped for even greater success through 2015 include cloud storage for documents, with Microsoft 365 providing complete cost effective solutions for businesses of all sizes, and other cloud providers such as Dropbox or Google providing document storage space as needed. Self storage facilities have been quick off the mark to target small business owners who need physical stock storage space. Many tailor their services to offer extremely friendly and convenient terms to business owners, with secure facilities that allow packing and dispatching as well as storing of stock. Downsizing and finding more efficient methods of home organisation will continue to be on many homeowner’s minds during the coming year. Many people are creating multi-purpose rooms at home, making guest rooms work as home offices or devising ways to make open-plan living more family-friendly. Look for multi-function furniture such as storage tables or wide bookcases that will double as room dividers. Ottoman beds are also a popular trend because of their hidden storage capabilities. The DIY boom shows no sign of abating, with popular stores offering basic lessons in everything from plumbing to wallpapering and tiling. DIY enthusiasts soon collect an impressive and costly array of power and other tools, all of which need secure storage. 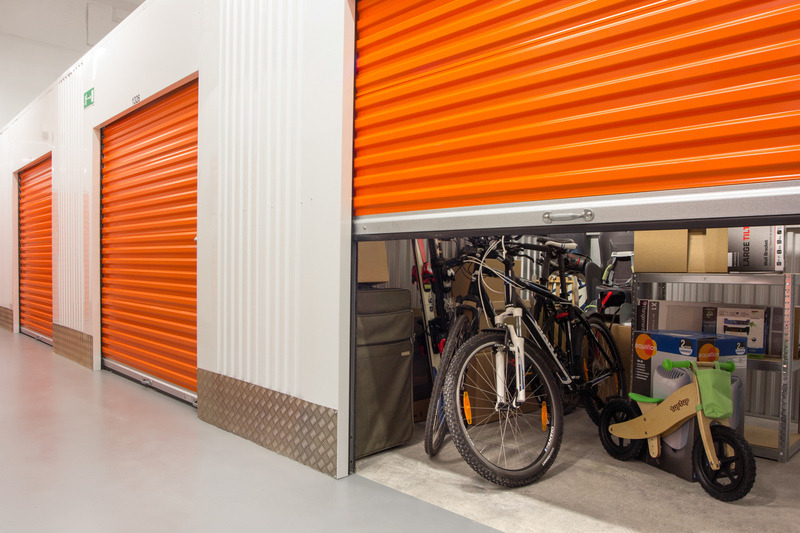 Here again, self storage is an effective storage solution, especially for those seasonal or larger items that take up lots of space but don’t get used for every single DIY job. There has been a real surge of interest in the tiny homes movement, and even those who have no interest in shoe box living are intrigued by the clever storage solutions that owners devise. From storage built into stairs, to underfloor storage and cupboards at ceiling height, they teach us to really examine available space and think outside the box. Look upwards for wasted vertical space or downwards for hidden space, such as beneath kitchen cupboards. We all have more storage space than we think, if only we can locate it. Are you making the most of your space, or thinking creatively when it comes to locating more? Hopefully these tips will give you some ideas to make your 2015 more spacious.